Our last discussion surrounded how some people are predisposed to the dangers of eating processed sugar, thereby experiencing withdrawal symptoms, such as irritability and headaches. In other words the human body can be processed sugar sensitive due to low beta-endorphins, which produces low self-esteem. Fortunately, when you can correctly identify and then modify daily food choices it will lead to a way out of biochemically-induced negative behavior. Proper food choices are the answer starting with how much protein is the right amount to consume. By dividing your total weight in half will give you the total number of protein grams you need for the day. So, a person weighing 200 pounds needs 100 grams of protein every day. Ideally, having three meals a day would mean consuming 331/3 grams (1.2 ounces) per meal. Also, complex carbohydrates are important to breaking your fast in the morning and again the size of the serving will depend on your weight. If you are a little person have one half cup. If you are a big person have one cup to two cups of oatmeal, brown/wild rice, whole wheat/whole grain toast, potatoes with skin, whole spelt/whole grain tortillas, steel cut oats, whole grain cereal, and/or of course beans. Sugar-sensitive people should never skip eating breakfast because when you do not eat for eight or ten hours, your body thinks you are moving towards starvation mode and releases beta-endorphin to protect you from the pain of it. Sugar-sensitive people are more sensitive to the (temporary) euphoric and confidence-building effects of beta-endorphin. Except the beta-endorphin release masks your dropping blood sugar level. Avoiding protein and complex carbohydrates in the morning will inevitably cause a mid-morning crash, rapidly followed by wanting to eat anything, which is usually something crammed with processed sugar. 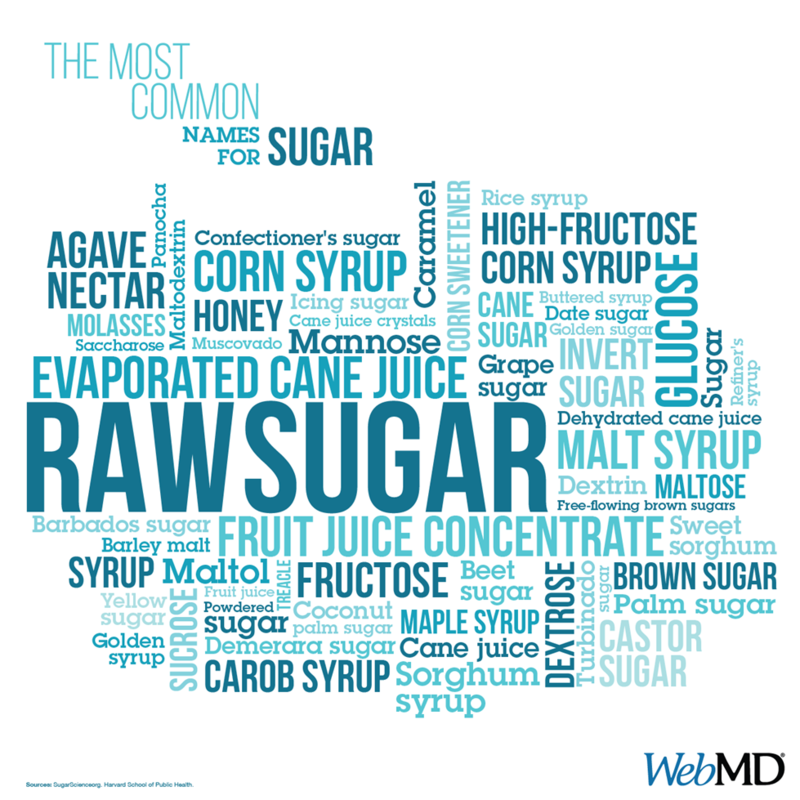 Quite a few products are sugar-laden and you might be surprised about which ones are. Such as, the commonly advertised yogurt is loaded with over 30 grams (7½ teaspoons) of processed sugar in just a small 6-ounce serving. A cup of tomato sauce can add up to over 20 grams of processed sugar and it is in the top ingredients of granola bars. Always be alert to the fact that when food manufacturers take the fat out of their product, processed sugar is often added back in as a replacement. Fat-free salad dressings can contain over 40 grams (10 teaspoons) of processed sugar and a bran muffin is not much better, where it easily packs over 30 grams of it. Break tradition and move yourself from the commonly advertised processed sugar breakfast items like pancakes, pop tarts, sugary cereals, and sugar filled orange juice. Set your own trend, for example, try enjoying miso soup with chicken and shrimp added, or corned beef hash, or a whole wheat wrapped burrito, etc.